Nearly everybody around you has moles. Most people have moles by birth. There are several reasons why moles grow on the skin. These reasons can range from being exposed to the sun too much, or due to genetics, or ever fluctuations in your hormone levels. Most people witness the growth of moles when they are still in their childhood, but some people get them later in their life. A mole is known as melanocytic naevi by its scientific name, it is a dark raised spot on the skin that is made up of skin cells grouped together instead of being individual. These cells are called melanocytes and they produce melanin, which is the natural pigment that gives your hair, and skin its natural color. Moles can grow in different sizes, forms, and shapes. While the number of moles grown on an individual differs from person to person, someone having fair skin typically has more moles since their skin has less melanin. For example, American children, when they reach 15 years of age, have around 50 moles on average on their body. This information was revealed by top dermatologists of the U.S after extensive research. For the most part, people who have them, simply see a brown patch growing on their body that doesn’t cause any harm or pain. They also don’t require any treatment but some people may choose to remove them for cosmetic reasons. There are many causes of moles. 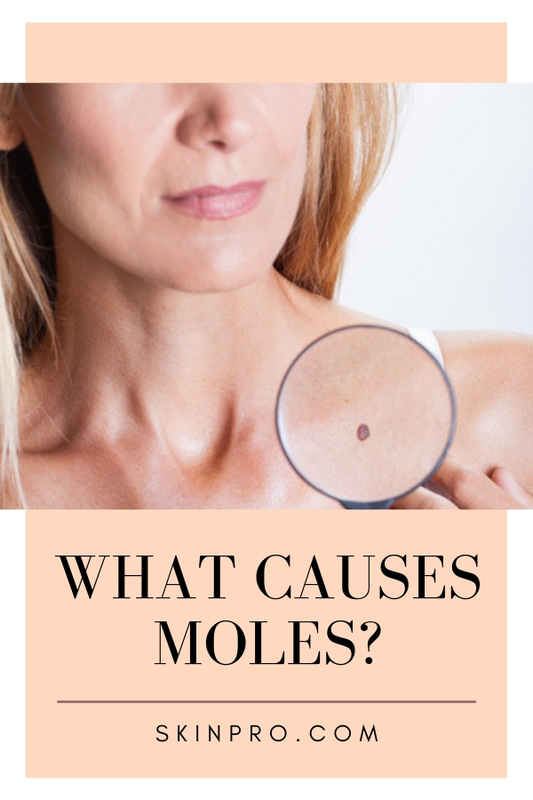 We have listed down the most common causes of moles down below and how to treat them using over the counter serums, tinctures, and creams. Sun exposure is one of the main causes of moles because when you get exposed to the sun, especially during your infancy years or in childhood, it increases the likelihood of moles growing on your skin. This is simply because the sun rays cause the skin to release more melanin. Your genes also play a huge role in causing moles. If you start to develop moles on your body, it could be due to your genetics. Parents or relatives of yours who have moles on their skin means that this runs in your blood. If you suspect moles on your skin are caused by genetics, you should immediately see a dermatologist because moles caused by genetics could lead to a condition known as melanoma. During pregnancy, menopause, or your teen years, your body goes through a lot of hormonal changes. This can cause moles to grow. While moles don’t pose a serious threat to your health, there are some instances where moles could mean you are heading towards skin cancer. It is imperative to get your skin screened for cancer if there is an unusual number of moles on your body. And if you just want to remove moles for cosmetic purposes, then you can use lightening creams, fading creams, bleaches, chemical peels, or surgical process to have them removed. 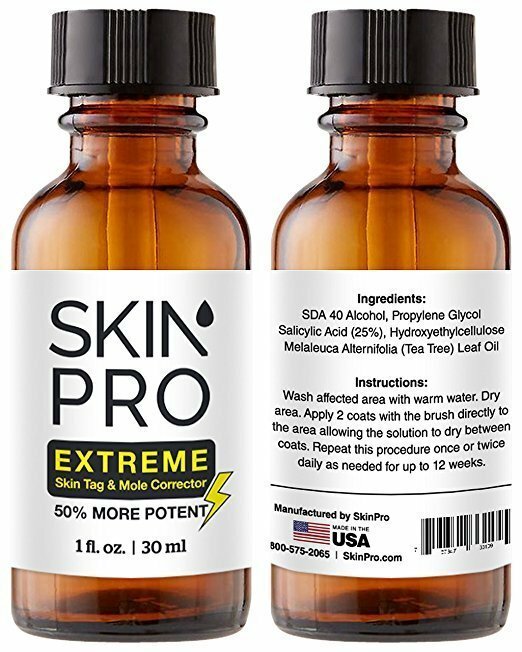 Currently, our best treatment is the SkinPro Extreme Skin Tag Remover & Mole Corrector. This unique and powerful serum created by our laboratory is so powerful and effective against moles that you some stubborn moles will start going away after a few treatments. The serum uses 25% Salicylic Acid concentration which is 50% more powerful than any other mole corrector out there. It has been specifically designed to work quickly and efficiently than many other similar products out there. It was created by the top cosmetic pharmacists at SkinPro to ensure that maximum potency is added into the serum. The extreme skin tag remover and mole corrector is the best home remedy to have your moles removed. It works as good as any surgical procedure out there. A lot of people may think that surgical removal is the only way to have moles and tags removed, just wait until you have tried using the SkinPro tag remover. Over the past few years, people who had a breakout of moles have used this serum to successfully have all their moles removed from the skin without having them leave a scar behind. It can be used on skin tags, warts, and moles and the removal process is often painless as opposed to a surgical treatment that leaves you under pain for days to come. Hyperpigmentation or dark spots on the skin appear when some of the skin areas produce more melanin than required. Melanin is the naturally occurring compound in our bodies that gives the skin, eyes, and hair their natural color. Dark spots aren’t usually something that should cause concern and they don’t really require any treatment. But some people may choose to remove these spots for cosmetic reasons. These spots are caused by a variety of problems and depending on the cause, sometimes they are referred to as sun spots or age spots. Below we will look at the various causes of dark spots on the skin and how you can remove them using dermatological products such as serums, creams, and other tinctures. Dark spots on the skin usually take a light brown to dark brown form. The color of these spots depends on the natural skin tone of the person. The spots usually have the same texture as the skin where they appear and are never painful. If a person has dark skin, the spots appearing may also be a few more shades darker. These spots usually fade within 6 to 12 months on their own. But if there is a deeper coloration problem in the skin, it may take them years to disappear. Deep color changes can also make them often appear as gray or blue colored spots. 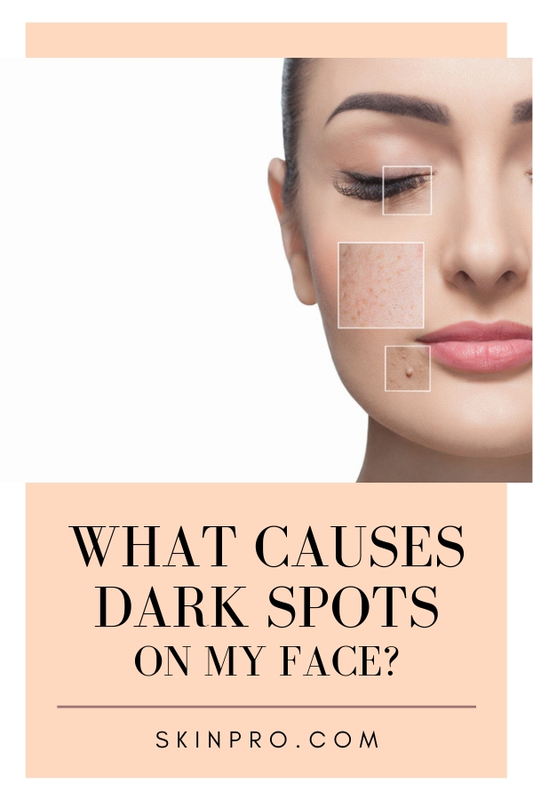 There are several causes of dark spots, here are the most common ones. Hormonal changes can often trigger a skin condition known as Melasma. This condition can lead to small patches of discoloration on the skin that can be identified as dark spots. This condition is very common in women, especially when they are pregnant. Another very common cause of dark spots is exposure to sunlight. These dark spots are usually identified as sunspots, liver spots, or solar lentigines. Most people develop these spots after being exposed to the sun for prolonged periods of time. People who enjoy tanning beds are often victims of these spots. Sunspots also appear on areas of the skin that receive the most sun exposure such as the hands, face, or arms. Skin inflammation can also cause dark spots to develop. Inflammation in the skin can occur for several reasons including acne, psoriasis, eczema, and an injury to the skin. Certain prescribed or over-the-counter drugs can increase skin pigmentation which leads to the formation of dark spots. The most common drugs that cause this side effect include psychotropic drugs, non-steroidal anti-inflammatory drugs (NSAIDs), and tetracyclines. Sometimes dark sports may form as a result of skin irritation. Irritation of the skin can result from a cut heal, insect bite, or a burn. These spots usually fade away with time. Some cosmetics or skin care products can irritate the skin which causes dark patches to form. These patches can also be identified as dark spots on the skin. Diabetes is known to cause areas of the skin to become darker. Any condition associated with diabetes including acanthosis nigricans can also cause these spots. Sometimes the skin can become velvety and darkened. If such a condition arises, it cannot be identified as dark spots. Dark spots on the skin do not require treatment and can disappear within time. But some people still choose to have them removed because of cosmetic reasons. If you cannot wait 6-12 months for dark spots to disappear, then there are various treatments available to remove them within weeks. You could either have them removed through laser treatment or using chemical peels and prescription skin-lightening cream. 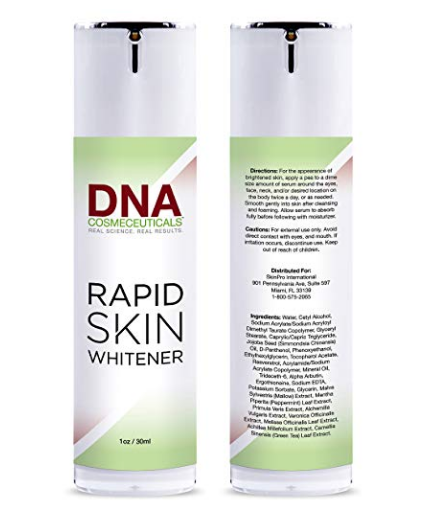 One of the fastest and safest ways to remove dark spots is to use the DNA Cosmeceuticals Rapid Skin Whitener cream. This cream is formulated with Alpha Arbutin and other powerful skin lightening agents that can quickly fade dark spots, even out the skin tone, and remove any other skin discoloration from arising due to hyperpigmentation and melasma. The Rapid skin whitener cream is made from a natural berry extract that performs much better than any other product containing hydroquinone and kojic acid. It does so by blocking the epidermal melanin biosynthesis. Moreover, the Alpha Arbutin in the cream has shown to provide protection against UV ray overexposure. It is the perfect cream to use if you love being in the sun but fear the outbreak of dark circles. 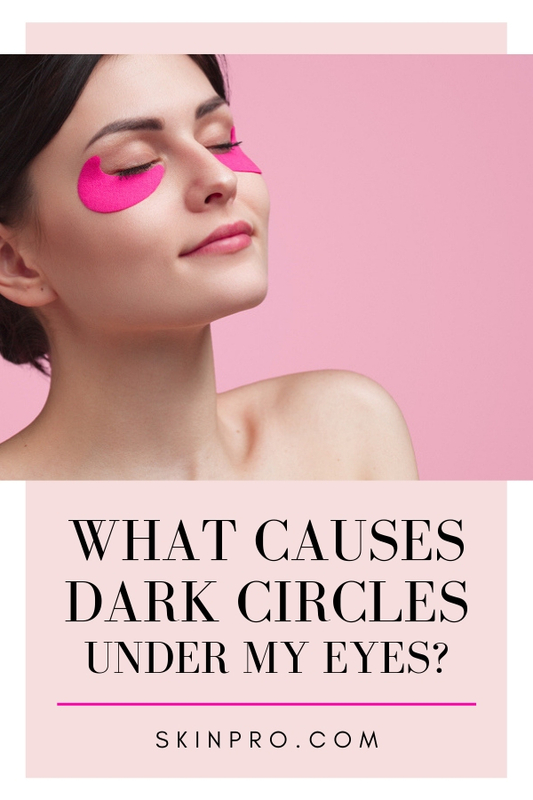 Dark circles under the eye can form due to a variety of reasons as opposed to popular opinion that only lack of sleep is the main culprit behind them. If you have dark circles under your eyes, it could be due to sunlight exposure, excessive salt, caffeine in your diet, as well as many other reasons. Below we will look at the most common causes of dark circles under the eyes as well as ways in how you can treat them. Most people believe that lack of sleep is the main culprit behind dark circles under the eye, but the true culprit here is actually the way you sleep. If you sleep lying on your side or on your belly, your face folds into the pillow which puts direct strain around the eyes. Expert dermatologists say that sleeping on your back could fix this problem for you as well as benefit your entire face and prevent wrinkles from forming on your chest. Moreover, if you have a case of extremely puffy eyes, you can sleep with an extra pillow under your head because that will get the fluid to move away from your eyelids area. You may have noticed this before that whenever you indulge in something that has excessive salt before going to bed, you wake up with bags under your eyes. This is because certain food having high levels of sodium or caffeine can cause your body to retain water which the skin under the eyes, causing them to appear darker. 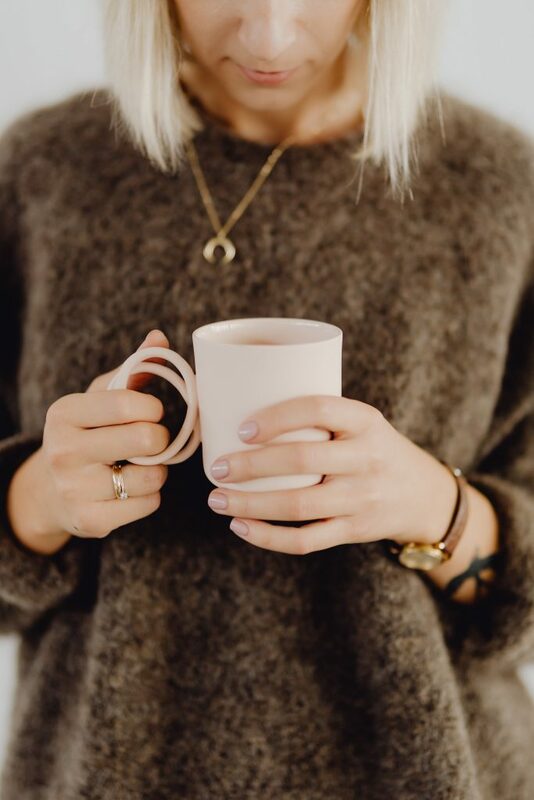 If you think you cannot give up on caffeine, especially because you’re a coffee junky, try adding ingredients like Niacinamide to your coffee. This ingredient will assist in increasing blood flow to areas that are stagnant. It also has anti-inflammatory and antioxidants that nourish the skin. If the dark circles under your eye appear to be dark brown in tone, then this could be due to pigmentation. The skin around the eyes is very sensitive to hydration which makes it prone to sun damage. Because the sun causes an increase in melanin production, it will aggravate the appearance of dark circles under the eyes. Believe it or not, makeup products that you use to hideaway dark circles under the eyes can actually cause them. If you’re not careful in picking up the right makeup products, they can easily irritate your skin that can worsen the dark circles. So whether its a mascara, an eyeliner, or a powder, if they are not obtained through a well-known brand, they could cause an allergic reaction as well as irritation. To stay safe, always look for products that are made with high-end and trustable brands. Never try to save money on makeup products. Sometimes dark circles under the eyes are just something you acquired from your family. If the skin around your eyes is transparent, fragile, and extremely thin, there is nothing you can do about it. Dark circles which appear due to bad genes tend to have a blueish tint and may get worse as you age because of loss of subcutaneous fat. Your best bet is to seek a dermatologist so they can help you treat this condition as effectively as possible. If your work requires you to stare at the computer all day, it can put a lot of stress on the blood vessels around the area where your eyes are. When these blood vessels get larger around the eyes, they can make the skin look darker. For an effective and permanent solution to dark circles under the eyes, there are many medical treatments as well as creams, tinctures, and serums available. 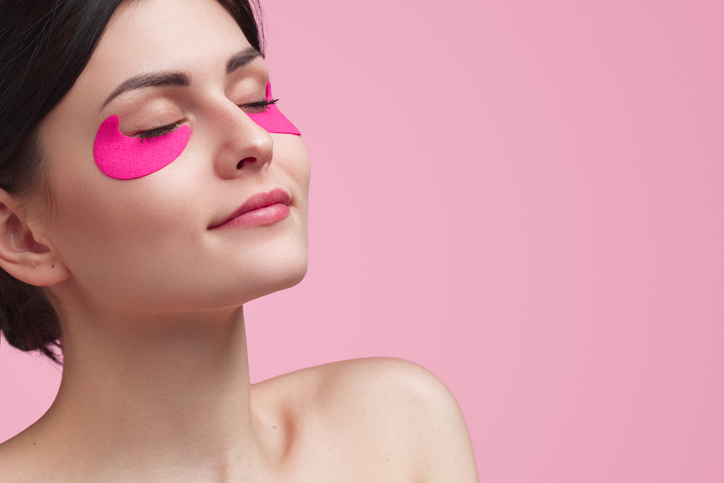 If your problem persists after you have tried every single home remedy out there, then it is best to either try chemical peels, laser surgery, medical tattoos, or tissue fillers. But before you try any of these treatments, try your luck with SkinPro Extreme Dark Circle Serum. The serum has recently become one of the most sought out products for dark circles under the eyes because it has shown to reduce eye puffiness and discoloration around the eye area by up to 35% in as little as 8 weeks. The Extreme dark circle serum is made with Regu-age, a potent anti-aging ingredient made from rice and soy peptides. This is a proprietary blend made by the expert cosmetic pharmacists at SkinPro. 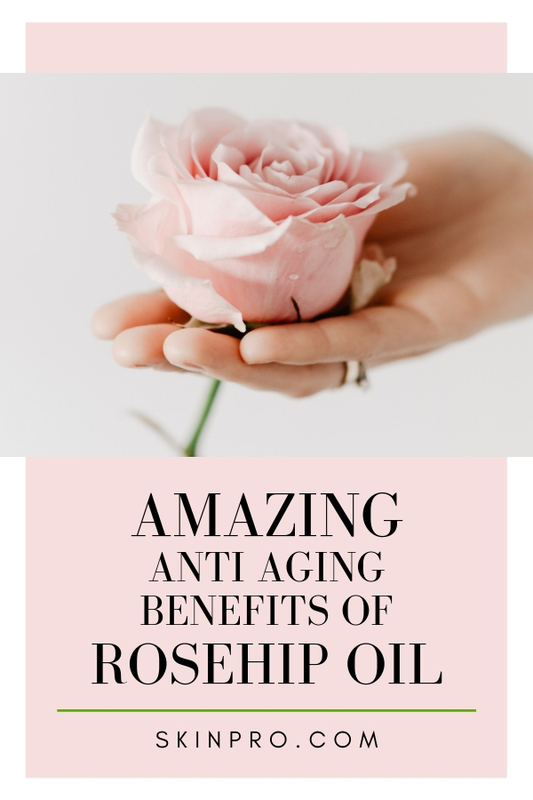 It not only increases microcirculation, but also slows the breakdown of collagen, fight oxidative stress, inhibit free radicals from damaging the skin, and reduces eye puffiness and inflammation. 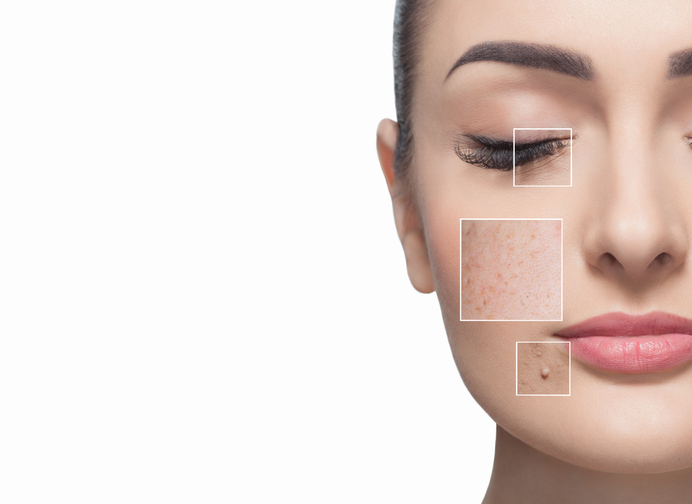 In order to control the breakout of acne pimples, it is very important to understand how these unsightly and annoying spots form and what causes them to appear on your skin, especially on the face. The most important thing to know that pimples are not caused by any life decisions you take. Contrary to popular belief, acne is not caused by any external factors, this includes your diet and how often you wash your face. 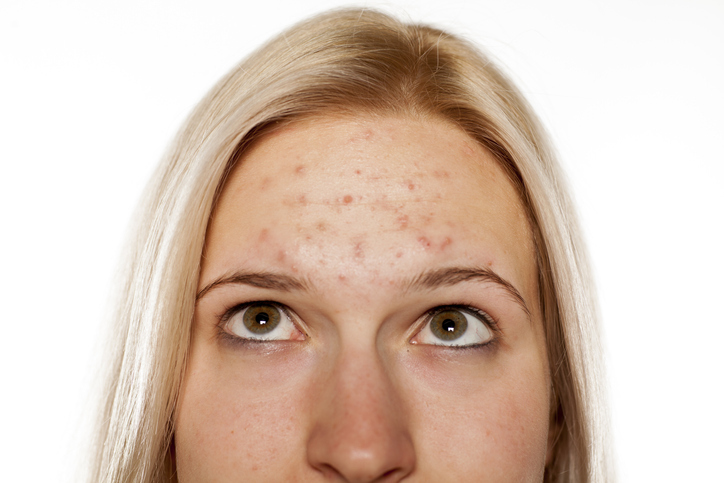 Acne is caused by a variety of physiological factors within the deep layers of the skin that are beyond your control. Down below we will look at the five major causes of acne pimples as well as look at fast and effective solutions to get rid of them. 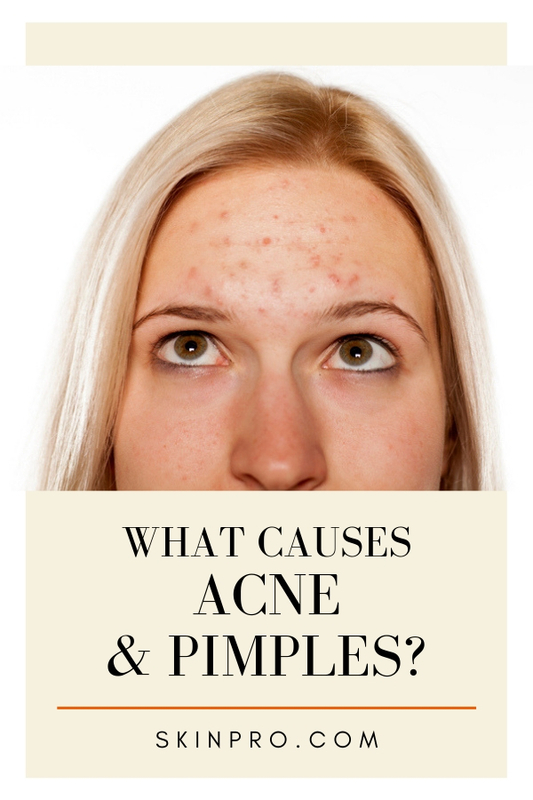 Acne is caused by a variety of factors which vary significantly from person to person. While you can’t really control these factors, understanding them will help you find the most effective treatment out there. When the androgens stimulate the sebaceous gland, it may start producing extra sebum (oil). As the sebum makes its way to the topmost layer of the skin, it will start to mix with various dead cells and skin bacteria that have been shed by the lining of the follicle. 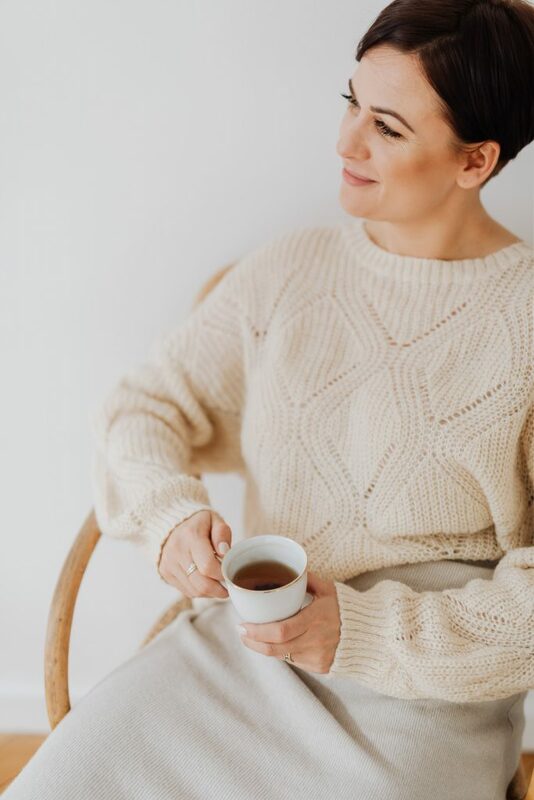 While this is a very normal process in our skin, the extra sebum in the follicle will increase the chances of clogging in the skin layer which causes acne. For most people suffering from blemishes, skin problems usually start at puberty because this is when the body begins to produce a hormone called androgens. This hormone causes the sebaceous glands to increase in size which is a natural part of the development of the body. But people who are suffering from acne, have sebaceous glands that have been overstimulated by androgens. This can sometimes keep happening to an individual even in their adulthood. Bacteria is a normal part of your skin and it exists in all skin types. It is a natural part of the skin and the skin usually uses it to maintain the sebum system. But once the follicle gets plugged, the acne bacteria can start to multiply rapidly. This creates a unique chemical reaction that usually results in inflammation in the follicle and the skin surrounding it. When the body comes in direct contacted with bacteria it does not like, it sends millions of white blood cells to attack it. This is a process widely known as chemotaxis or in simple words, the inflammatory response. This is the process that makes pimples appear red, painful and swollen on the skin. The inflammatory response is different in every individual. Dead skin cells that reside within the follicle are naturally shed out and are expelled through the skin’s outer most layer. But people who have overactive sebaceous glands usually experience the shedding of these cells more rapidly. When this starts to happen, the dead skin cells mix with the excess sebum and form a little plug in the follicle. This prevents the skin from completing its natural process of renewal, thus causing acne. If you have recently become a victim of an uncontrollable acne breakout, don’t panic! There are many different kinds of blemish solutions out there to help you fight back this acne breakout. But before you pick an over-the-counter acne solution or treatment, you must know the severity of your condition. Pimples vary significantly from person to person and they can take various forms. This means that not every solution you find in departmental stores will help you out. With the above 5 major causes of acne, see which solution can help you best. If you are unsure which treatment to get, you can try out the SkinPro 911 Blemish Treatment which is a universal treatment that targets the most common causes of acne and is most likely going to work for you. The blemish 911 treatment is one of the fastest working acne repair treatments out there at the moment. It removes acne within minutes thanks to its proprietary formula which has won several rewards at leading skin care product website. It has also been tested against other similar products in various situations and has been found to produce the best results. So if you are looking for a quick and easy touch-up when an annoying pimple arises, your best shot is the Blemish 911 treatment. Simply apply it on your skin before going to bed and you’ll wake up with the pimple gone. During our 60s and 70s, inevitable bodily changes happen. Aside from sagging, our skin will also get dry and mired with age spots that are difficult to remove. You might also be surprised to see new moles growing all over your body. Wrinkles will also be a constant company. 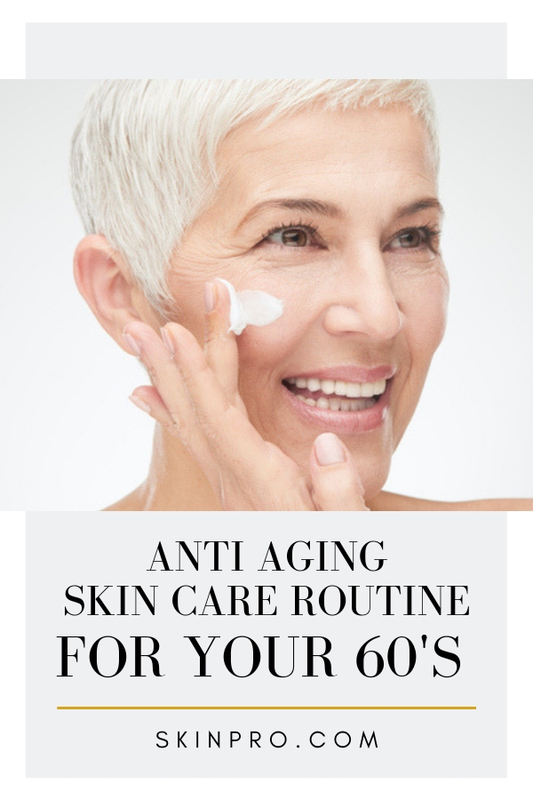 Our biggest enemy during our 60s and beyond is dry skin. You will notice the cracks and your cutis starts to feel and look crepey. Here, it’s no longer just about caring for your face but taking a good look on your entire skin. Here, we came up with a skincare routine that will keep your skin soft and nourished. It’s best to start your day with a nice skincare routine. This way, you can prevent excessive drying and peeling. Remember, the products you use in your 30s and 40s are no longer ideal for your skin. At 60, we need to be gentler to avoid irritating our thinning and aging skin. CLEANSE. Wash your face with a mild cleanser foam. As much as possible, avoid using bar soaps. Any liquid cleanser will do, but try to find one with fatty acids and natural ingredients. The likes of shea butter, coconut oil, and hemp seed oil are excellent due to their anti-aging effects. Wash your whole body as well with a product that’s loaded with moisturizing ingredients. When drying your face and body, dab the towel and leave a little moisture so the products will easily be absorbed. GROWTH FACTOR SERUM. Unlike other serums, a growth factor serum will help in the production of collagen that will help lighten up your fine lines. If dark circles are an issue, I recommend that you try the Elite Serum Rx. Apply it in the morning and in the afternoon to keep your skin refreshed. MOISTURIZER. Never skip the moisturizer part since this will prevent the pesky cracking of your skin. I personally like the hemp oil moisturizer because it also contains Vitamin C and Vitamin E that help keep the skin stay plump. Anyway, you can also try cream-based moisturizers since the milk proteins will help rejuvenate your skin. And aside from your face, make sure that you apply a nourishing body lotion packed with Vitamin E.
SPF. During our 60s, our skin is more vulnerable than ever to the harmful rays of the sun. With this, it’s imperative that you apply an SPF30 sunscreen each morning. It’s good if your moisturizer already has a sunscreen effect. UNDERARM AND NECK CARE. Hot flashes are common at this age. It’s important that you use an antiperspirant deodorant with moisturizing ingredients. Also, if you’re bothered by your sagging neck skin, I recommend that you use SkinPro’s Skin Care Neck & Decolette Tightening Serum. This is a potent anti-aging serum that also contains Retinol. Even before you go to bed, it’s important that you give the same attention to your skin. In fact, nighttime is one of the most crucial periods during the day when our skin heals and recovers from damages. CLEANSE. You can use the same cleanser you’ve used in the morning. Again, it should be gentle and moisturizing at the same time. NIGHT PEELING SERUM. A night peeling serum packed with hyaluronic acid will moisturize your skin in an instant plus it will minimize your fine lines. It also contains glycolic acid that peels the dead skin cells without being too abrasive. MOISTURIZER/OIL. Again, you have to moisturize even if you’re just heading to bed. Moisturizing at night will make a big difference in the morning since your face will feel smoother. If it’s the summer season, you definitely have to pack up with those moisturizers. Feel free to use the hemp oil moisturizer from SkinPro. But if you may, avoid cream-based moisturizers at night. RETINOL. For three to four times a week, apply Retinol to your skin to initiate collage production. This product will help give your skin a younger look. Don’t apply Retinol every single day as it may dry your face too much. If you have problems with dark spots, I recommend that you complement your routine with the Delfogo Rx Vitamin C 22% Serum. This is excellent in removing blemishes and dark spots all over your face and body. For your weekly routines, I only have two simple suggestions: exfoliate and moisturize. Use a mild exfoliant – not a scrub, soap, or strong acid. Do this twice or thrice a week. If you have very dry skin, stick to twice a week to prevent it from being too parched. Next, moisturize your face using a weekly facial mask. The Delfogo Rx Corrective Anti-Aging Mask is a great choice since it will improve your skin’s elasticity, texture, and tone. This also has a peptide blend that will repair damages and reduce wrinkles. Just apply the mask, let it sit for 20 minutes, and then rinse with lukewarm water. It’s very important to consult a dermatologist every three months to get your skin checked for cancerous moles and blemishes. As we age, your risk to skin cancer increases so it’s crucial that you undergo skin cancer exams regularly. Highly scented skin products will have more drying effect on your skin. Opt for a milder and natural scent. Typical bar soaps have abrasive formulas. 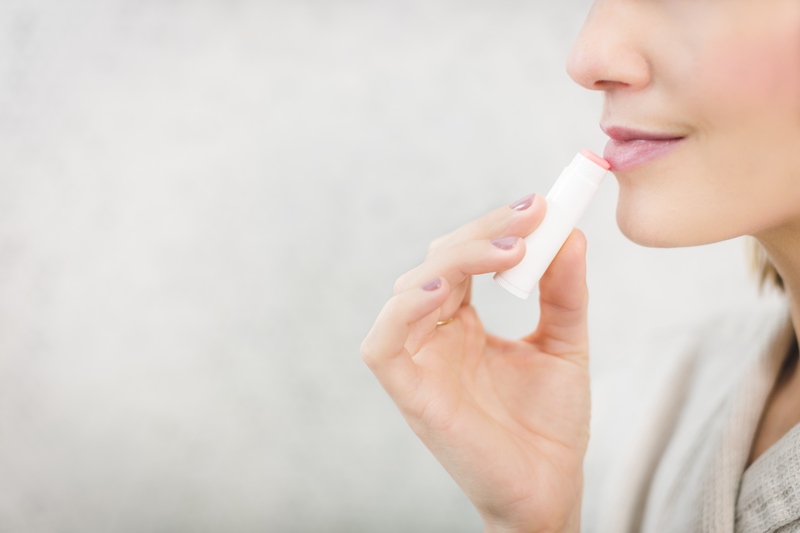 It’s better to switch it up to a mild and scent-free emollient. If you can, avoid using bath oils. This will increase your risk of slipping and falling. If you want to moisturize your skin, use a body lotion right after your bath. Very hot baths will only make your skin drier. Nevertheless, you can still enjoy warm baths as long as it doesn’t sting your skin too much. Even at 60, we should prioritize the health of our skin. This way, you can keep any skin issues at bay. Most of all, never shy away from the help of a dermatologist. Skin Care in your 50’s. Anti Aging tips for your 40’s. At the age of 50, you should welcome surprise changes in your body, more so on your skin. For half a century, your skin has taken the beating of makeup, outdoor elements, and other harsh conditions. Also, our skin will thin, dry, and sag in our 50s. It will also look less radiant as the wrinkles multiply and become deeper. 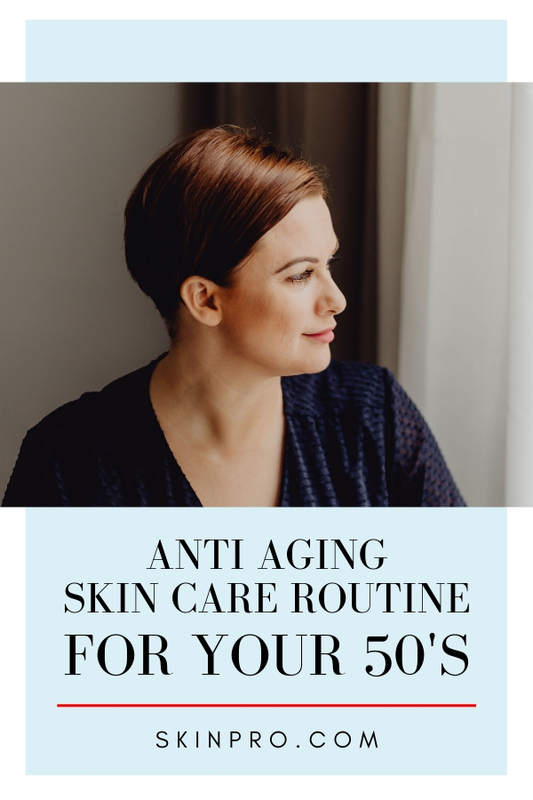 Most of all, our skin heals slower as we progress in our 50s. But before you become frustrated with your skin, you can revamp your skin regimen to rejuvenate your cutis. The following steps may not reverse aging, but it will definitely delay the degradation of your cutis. 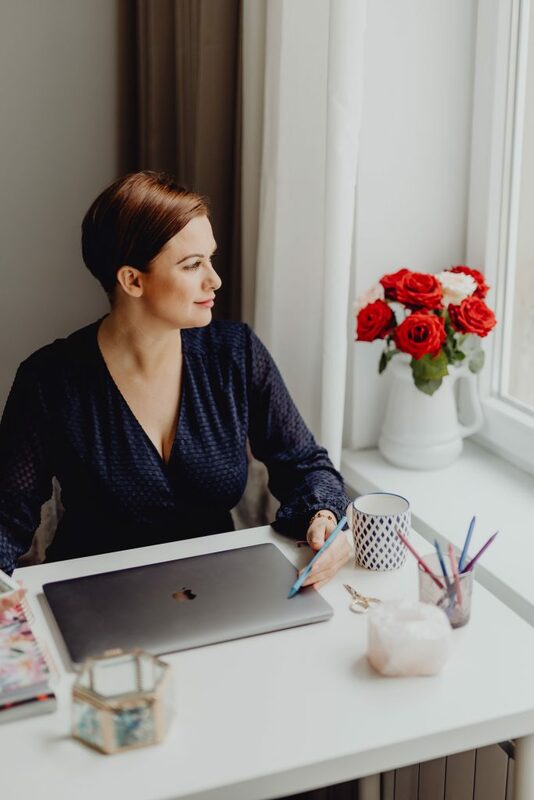 If you’ve been sticking to a skincare routine for some time now, it will be easy for you to tweak your regimen with the addition of new products. But since you may not have all the time and energy to spend in front of the mirror, we will make your morning routine simpler. Here’s the progression that you need to follow: cleanser, growth factor serum, cream-based moisturizer, reparative sunscreen. CLEANSER. A gentle foam cleanser is the best option here. It’s easy to use plus it won’t irritate your skin. Avoid body and beauty soaps that are made for younger skin. This may feel smooth at first, but it may also strip your face’s natural oils. GROWTH FACTOR SERUM. Unlike other serums, a growth factor serum targets collagen formation which is one thing that we need to focus on at this age. Make sure that you apply it well on your fine lines as it will help in lightening it up. You can also try Elite Serum Rx. This is made to reduce puffiness, wrinkles, and dark circles as part of its anti-aging effect. A small amount of this serum can go a long way. CREAM-BASED MOISTURIZER. When you were younger, you have the freedom to experiment on different moisturizers. But in your 50s, you will need to be careful with the products you choose. For your moisturizer, opt for a cream-based type. The milk proteins on the cream base will help nourish your dry skin. If possible, look for a product with natural extracts like jojoba, grape seed oil, avocado, Vitamin E, and more. I recommend the Delfogo Rx Pure Hyaluronic Acid Cream. It helps to soften up wrinkles while moisturizing your face. REPARATIVE SUNSCREEN. Remember, our skin thins as we age. It’s just right that you utilize a reparative sunscreen to block the harmful rays while rejuvenating your skin. SPF15 is the minimum if you’re not really basking under the sun. These basic morning regimen should refresh your face without consuming a lot of time. If you’re in doubt, always consult your dermatologist to help you choose the products that suit your skin type. After a tiring day, you shouldn’t forget to pay attention to your skin. When we sleep, our bodies repair our damaged cells. You can experience better results if you supply your skin with enough nourishment. Here’s our recommended nighttime regimen: foam cleanser/light acid cleanser, growth factor serum/retinoid, Vitamin C serum, reparative enzyme. CLEANSER. You have the option to use the same cleanser you used in the morning or utilize a light acid cleanser. The latter will help peel away dead skin cells while giving a brightening effect to your skin. GROWTH FACTOR SERUM. Apply the same growth factor serum you used in the morning. All day long, we should support collagen formation to have smooth and younger looking skin. Anyway, I recommend that you switch to retinoid twice or thrice a week if possible. Retinoid has anti-aging effects that can fix uneven skin tone. VITAMIN C SERUM. If you have issues with pigmentation, apply a Vitamin C serum after the growth factor serum. I suggest that you try the Delfogo Rx Professional Vitamin C serum. This is infused with ferulic acid and vitamin E that do wonders on your skin. The Vitamin C content of the serum will also help fix brown patches and sunspots that will mire your skin in your 50s. REPARATIVE ENZYME. A DNA reparative enzyme contains immense moisture that refreshes your skin overnight. This replaces all the moisture that your daily chores take from your face. If you have sensitive skin, I suggest that you consult your dermatologist about this. Tip: Skip facial cream in the evening. Before bedtime, we recommend that you try to stick on oil-everything or your nighttime regimen. This is faster to absorb and won’t smear easily on your pillow as long as you let it sit for a few minutes before going to sleep. Make it a weekly habit to exfoliate using enzyme peels. Unlike scrubs, this won’t scratch or strip your face of its natural oils. Exfoliate once or twice a week to remove the dead skin cells that would accumulate on your face. You can also treat your skin to a weekly firming mask if you feel like the skin in your jaw is starting to sag. I personally recommend the Delfogo Rx Corrective Anti-Aging Mask. It boosts skin elasticity, texture, and tone while reducing your fine lines. Apply this directly to your face and leave it for 20 minutes before rinsing with lukewarm water. I strongly recommend that you visit your dermatologist once every three months. The age of 50 is when you become more prone to cancerous moles. Your risk to skin cancer also increases as you age and you might be surprised to find out cancerous lesions. 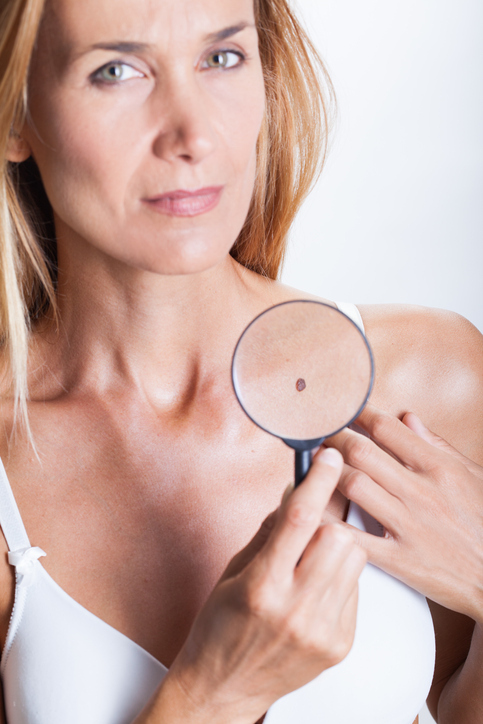 If you have current moles that changed in size, feel, texture, or color, head to a dermatologist to have it checked. Never self-medicate these spots or you might only worsen the potential problem. It’s also good to know what exactly causes moles on your skin. Even at 50, you can maintain healthy and younger-looking skin. Aside from using products that nourish your cutis, it’s also important that you seek the advice of your dermatologist regularly. This way, you can diagnose any conditions and have it treated ahead of time. Many say that 40 is the new 30. But as much as we may look younger than our age, our skin will not deny the years. Our lines will get deeper, the beautiful freckles will soon become sunspots, and more wrinkles will find their way on our foreheads. As much as aging is inevitable, you can practice a skin care routine so your cutis will age gracefully. At this point, we need to focus on collagen and elastin. These two substances are our bosom buddies in keeping our skin plump and fresh-looking. If you aren’t at age 40 yet, have no fear. We also did a guide for those of you in your 30’s! Always start right in the morning when it comes to your skin. At this age, this is the routine that’s ideal to follow: cleanser, Vitamin C serum, eye cream, toner/moisturizer, and sunscreen. CLEANSER. Even if you’ve washed your face in the evening, it’s still important that you refresh it up in the morning. Take note that as we age, our skin becomes drier and more sensitive. It’s best to use a gentle cleanser that suits your skin type. Just a reminder: although it’s true that dead skin cells accumulate on our face, it’s not a good idea to scrub every single day. It will just strip your face’s natural oils and it will appear drier than ever. VITAMIN C SERUM. At 40, uneven skin tone is one of the common complaints. One of the natural fixes here is a Vitamin C serum that gets rid of dark spots. It’s also an antioxidant that will keep irritations away. Just take note that Vitamin C serums contain different levels of Vitamin C. If you want to enjoy the best results, we personally recommend the Delfogo Rx Professional Vitamin C 22%. It’s also infused with Vitamin E and Ferulic acid that helps keep our skin radiant. EYE CREAM. Eye cream is a matter of choice among women. If you tend to have dry eyes and dark circles, you probably need this on your skin care kit. Eye creams are great in reducing the stressed look in your eyes while nourishing your skin. We personally recommend the Skin Pro Medical Grade Hemp Under Eye Cream. It’s infused with pure hemp that’s effective in reducing the puffiness and circles around the eyes. This cream is also fortified with moisturizing ingredients that our skin needs a lot. TONER/MOISTURIZER. If your skin used to be dry in your 30s, expect that it will be more parched in your 40s. This is why we recommend that you apply moisturizer multiple times a day. 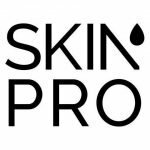 We love the SkinPro Hemp Oil Moisturizer since it makes our skin brighter plus its results are long-lasting. But since this is an oil moisturizer, it can feel sticky if you overdo the amount. SUNSCREEN. Regardless if it’s sunny or not, you should apply sunscreen to protect your skin from harmful rays. Still, we understand that not all of us like putting tons of products every time. So as a trick, try looking for a facial cream or moisturizer with high SPF levels. Before bedtime, you should ensure that your skin is clean and always moisturized. We know that this can be a bit tiring, but a few minutes of vanity pays off if you want healthy skin. Here’s our recommended evening routine: cleanser, toner, retinol, eye cream/serum, and an optional facial patch. CLEANSER. This is a staple of all skincare routines. Never apply products unless you’ve cleansed your face and removed all the makeup. Always wash your face before bed no matter what. TONER. You can use the toner you applied in the morning if you wish to. If you’re still looking for one, you’ll never go wrong with SkinPro Organic Eye and Vegan Serum. This is an eye serum but can be applied on the outer areas as well. Works like a charm! RETINOL. At this age, retinol is a gem on your beauty kit. This is an anti-aging product that also makes your skin look bright and plump. Feel free to use over-the-counter retinol from drug stores. In fact, dermatologists recommend that you start using Retinol as early as 20 years old. You can also layer it on your moisturizer or toner. But hey, make sure that the product works well on your skin and complements your other regimen. EYE CREAM. This will help keep the dark circles from your eyes. It will also help in repairing your damaged facial skin while you sleep. FACIAL PATCH. This is an optional regimen. But if you can, try using wrinkle patches since these will lighten up your fine lines. Let all the products settle on your face before hopping to bed. If possible, perform your evening skin regimen 30 minutes or an hour before you sleep. Like you used to do in your 30s, exfoliate once or twice a week. 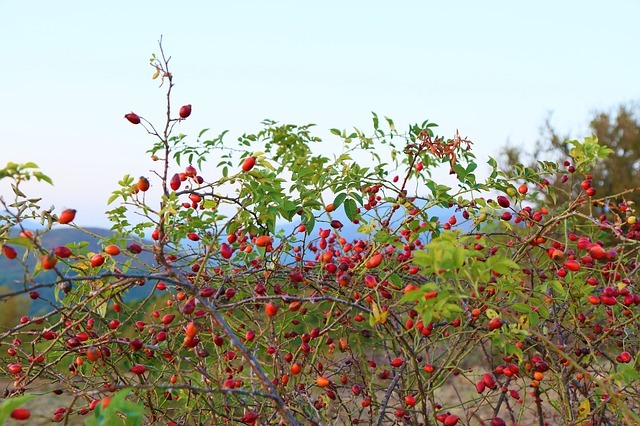 We also recommend that you massage your skin with rosehip oil a few times per week during the night. This will improve your lymphatic system while reducing puffiness brought by stress and lack of sleep. As a general recommendation, always look for products with vitamins, peptides, AHA, antioxidants, and hyaluronic acid. 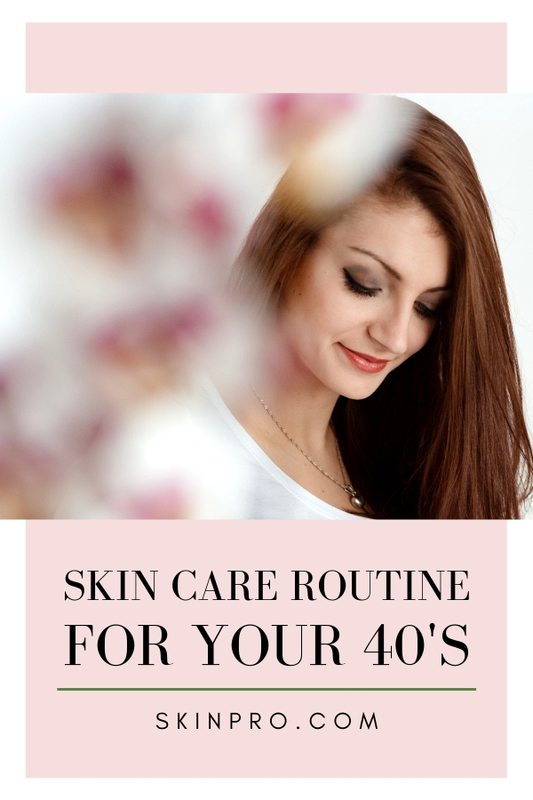 All of these help to nourish our skin on our 40s and keep the wrinkles away. Every quarter, we recommend that you see your dermatologist for a professional-strength peeling session. This will remove uneven spots and dead skin cells that scrubbing alone won’t strip off. It also won’t hurt if you will indulge in a full skin treatment once or twice a year. In case you feel something is off on your skin, don’t hesitate to seek the help of a derm doctor. At this age, experts recommend that you get head-to-toe skin checks to find out if you are at risk of melanoma. It’s always better to catch the signs of skin conditions before it flares up in full. 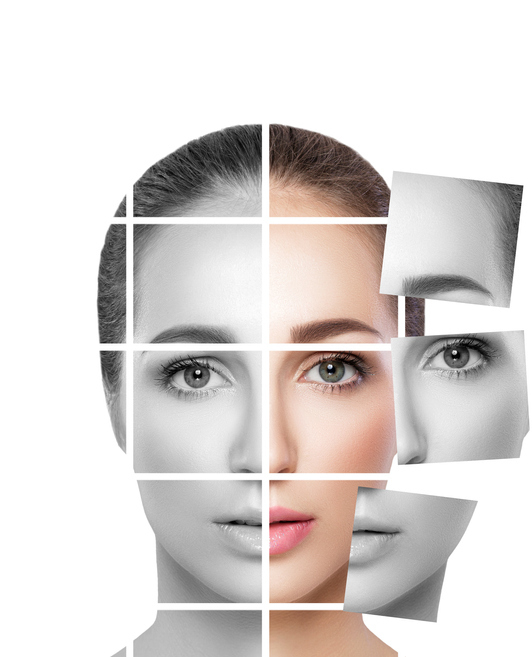 By the time we hit the age of 30, our skin will have taken a drastic change. 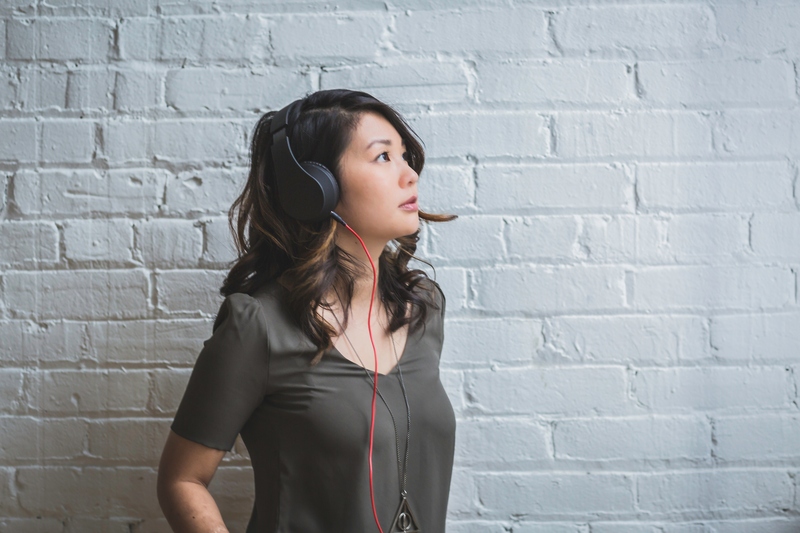 It’s not just stress or our busy schedules; it’s an inevitable aging process that starts in our late 20s. Our skin will become drier and irritations will surface more than ever. In fact, you will feel that your skin is always out of whack. According to dermatologists, this transition is normal and can be managed with the right routine and products. 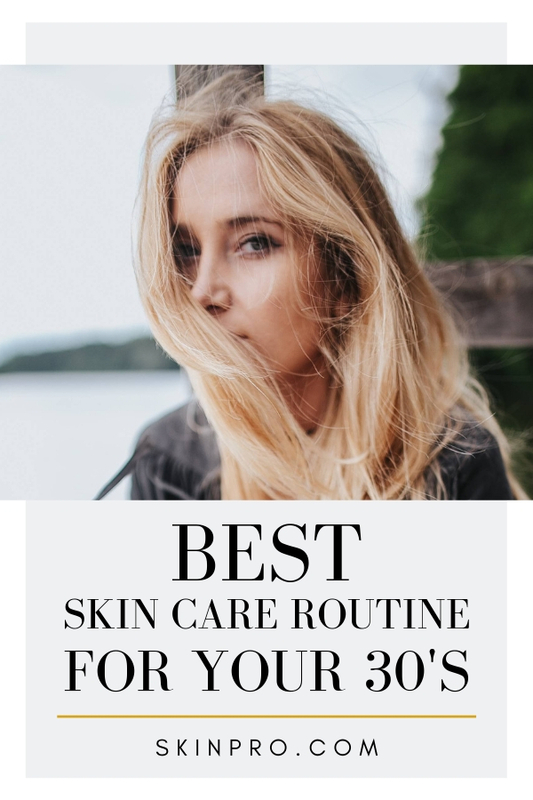 Below is a simple skin care routine to keep you looking your best in your 30s. One of the common mistakes of women is that they fail to understand that there’s a proper order for applying products on their skin. You simply can’t mix everything and hope for the best. Here’s how your daily morning routine should go: cleanse, tone, moisturize, then protect. CLEANSE. In the morning, right after you have woken up and stretched a bit, you have to cleanse your face first. Use a product that suits your skin type. Our foolproof recommendation is a mild cleanser that works for all skin types. TONE. After you carefully washed your face and removed any possible makeup left in the evening, it’s time to apply your toner. This is very important, especially if you get very oily during the day. It’s also advisable for women with large pores. MOISTURIZE. At this point in our lives, skin dryness is our enemy. Always moisturize to keep your skin from flaking and appearing dull. It will also prevent your makeup from cracking due to your dry face. If you don’t like liquid moisturize, you can use your choice of day cream. PROTECT. Regardless if you’re heading out or not, always apply sunscreen. This will prevent excessive damage that will make your face look drier and dull. You can skip this part if your moisturizing day cream has a decent SPF. MAKEUP. Once the sunscreen settled, you can now apply your makeup. Make sure that your choice of products complements each other. This is to avoid acne breakouts. After a long day, your face would have accumulated lots of dirt. Also, your makeup would’ve sat for long period on your skin which may cause irritations if left overnight. And just like in the morning, you need to follow a routine. Here’s how it should go: cleanse, tone, serum, eye cream, and moisturize. You can also seal your nighttime routine with a face oil or night cream of your choice. CLEANSE. Use a cleanser that can remove deep-seated makeup. We advise that you use a makeup remover first before washing your face with your choice of soap or facial wash.
SERUM. Serums are lightweight moisturizers that penetrate your skin deeper. This will give you a tighter, plumper, and radiant skin. We recommend the Skin Pro Elite Serum Rx, especially if you tend to have dark circles. Dab a small amount around your eyes and all over your face. EYE CREAM. Eye creams will lighten your dark circles and help give your eyes a radiant look in the morning. 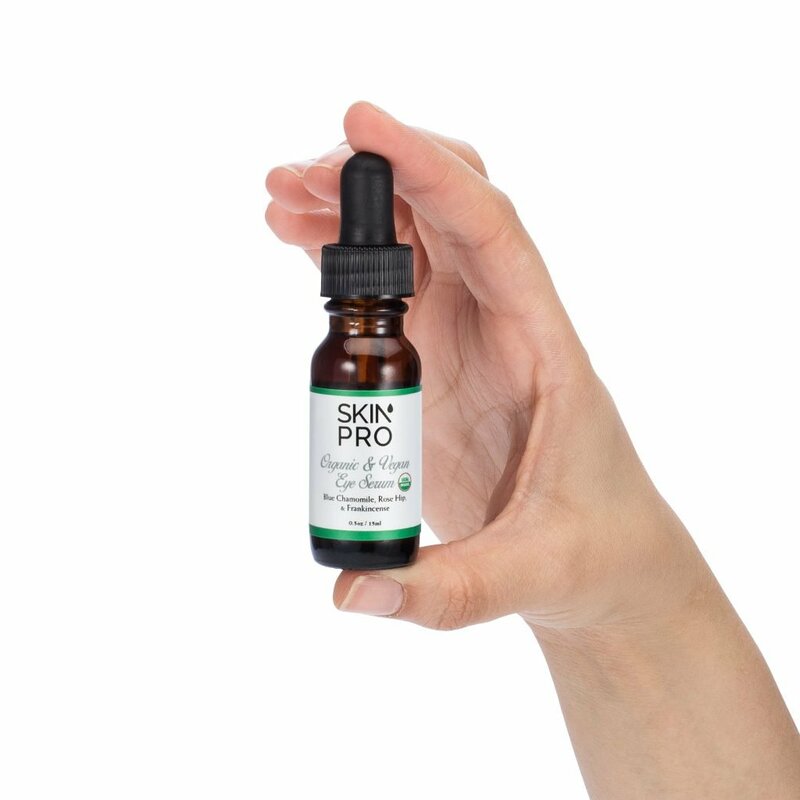 If you don’t like creams, try the SkinPro Organic & Vegan Eye Serum. MOISTURIZE. To seal your evening skin care routine, apply a moisturizer all over your face. Let your face absorb the products before sleeping. Aside from these daily routines, you should also include these staples on your regimen. It will keep your skin clear, especially if you’re always exposed to outdoor elements. MASK. Once a week, treat your face with a mask. This will hydrate your skin while minimizing your pores. The right mask will help flush out impurities from your skin that your day to day routines failed to remove. We recommend the Delfogo Rx Corrective Anti-aging Mask. This will help your skin look young by fighting free radicals on your skin. It will also give you better complexion while removing excess oils and firming up inflamed pores. EXFOLIATOR. In our 30s, more dead skin cells accumulate in your face. This is why we have to exfoliate twice a week. This will help remove the dead skin cells that can block our pores and result in acne breakouts. We recommend one with a pore minimizing formula. This cleanses and exfoliates to keep your skin bright and smooth. This works well in removing dead skin cells while minimizing your pores. To sustain your skin health in your 30s, invest in a quarterly professional facial treatment. We suggest that you see a dermatologist every three months or at least once a year. This way, you will be checked for possible skin conditions and cancerous moles. Never shy away from professional help even if you’re skin feels and looks great. In your 30s, skin conditions like Rosacea and chronic acne may develop. These conditions won’t go away on their own and they need professional treatment. At this age, our cells won’t bounce back as fast and as efficient as it used to be on our 20s. Late nights, stress, and age will start to take its toll on our skin. During our 20s, wipes are the convenient makeup removers. But on our 30s, it’s abrasive and may dry our skin even more. If you really need wipes, choose one with a gentler formula. Our 30s is the ripe age for inflamed cystic acne that doesn’t go away easily. Your regular teenage acne treatments no longer take effect here. A stronger, topical treatment from your dermatologist is the best solution. Medical acne creams are effective choices as long as it won’t irritate your skin. It also works for blackheads, clogged pores, and blemishes. Our 30s is an exciting and active phase. However, we should never neglect the health of our skin. It’s time to commit on a routine that will fight the effects of aging, outdoor elements, and stress. Most of all, seek the help of professionals. Don’t shy away from a dermatologist, they don’t bite.